God has you on a journey. For some that journey has been a long one with many twists and turns, while for others, you are just starting out. Along the way you will encounter opportunities and will have make decisions about the way you go. God leads and guides, He shares His wisdom, and will prompt you as you search for His direction and will. Often God will bring others along side to walk with you, to help you to discern His will and His leading. 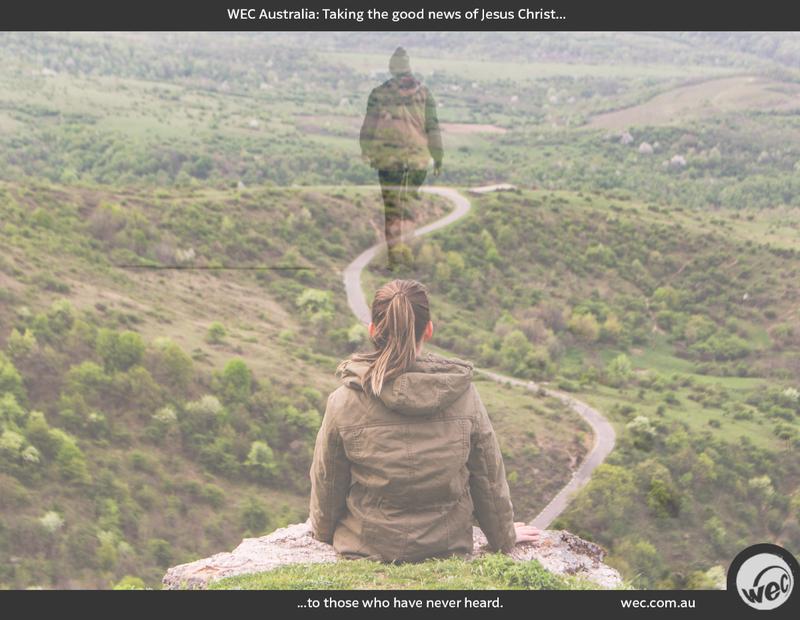 At WEC Australia we believe that we can be some of those to walk with you, too seek God along side you, to help you discern the way that God wants you to serve. "Stepping Into Mission - logo"
"Stepping Into Mission - Video"
Stepping Into Mission provides opportunities for us to walk along side you and to help you discover if God wants you to be someone who goes overseas to share Jesus where they don't know His name. The Stepping Into Mission journey consists of five actions that help to gain a better understanding of missions and helps you to discern how God wants you to serve. Whatever stage of life you are at, we want to journey with you. To start anything you need to take your First Step and exploring a missions journey is no different. The First Step Kids programme provides an introduction to missions for children, highlighting the need of people round the world to hear about Jesus and of people to go overseas as missionaries. "First Step Kids - logo link"
As well as taking a First Step on the missions journey, you need to be willing to take the Next Step in order to keep moving forward. For teens there is both a First Step Teens programme, which likewise provides an introduction to missions for, and highlights the need of people round the world to hear about Jesus and of people to go overseas as missionaries. And also a Next Step Teens programme that provides a opportunity to dig a little deeper and to really start to engage with the idea of what God is doing around the world to make Jesus' name know, loved and worshipped by those who don't know Him yet. Regardless of where you are on your your journey there is always Next Steps to be taken. The Next Steps programme will help you to discern which way God is leading you on your journey. Together we will discover what God’s heart really is for the nations, how He has been at work from the time of Jesus until now and what is happening round the world today to make to make John's vision of Revelation 7 a reality. "Next Steps - logo link"
The best way to get your feet wet in world missions is to STOMP (Short Term Overseas Mission Program). Whether alone or as part of a team, in one of many nations, no matter your age, experience or background there is something you can do. For as little as one week all the way to two years there are opportunities for you. Find your place in God's plan for this world, adventure awaits.